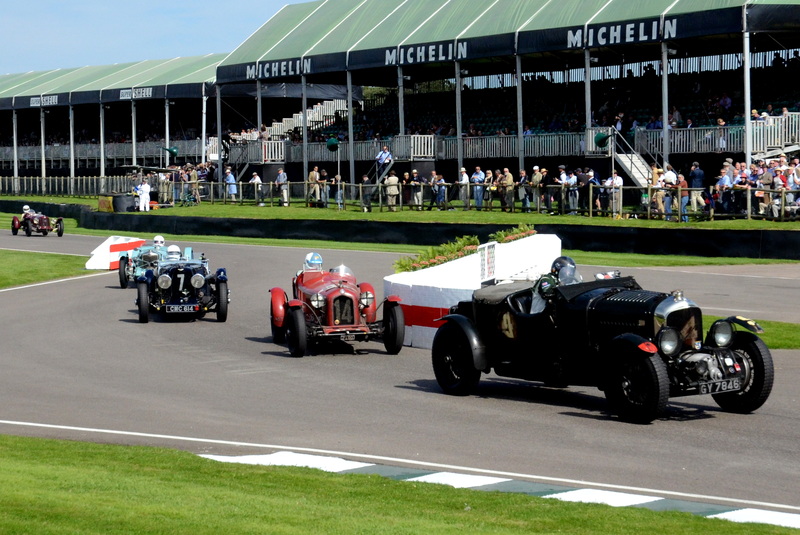 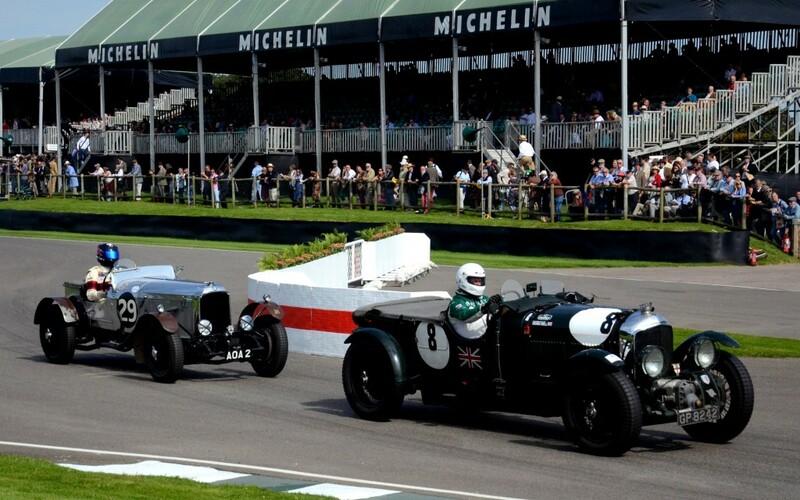 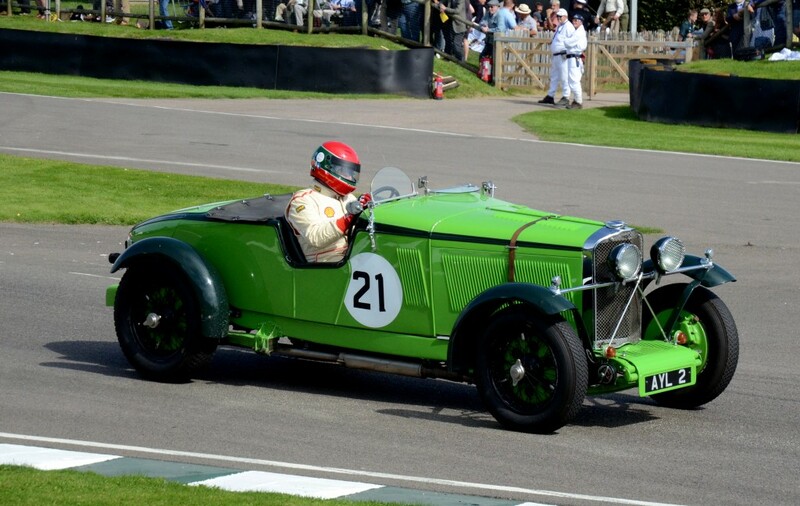 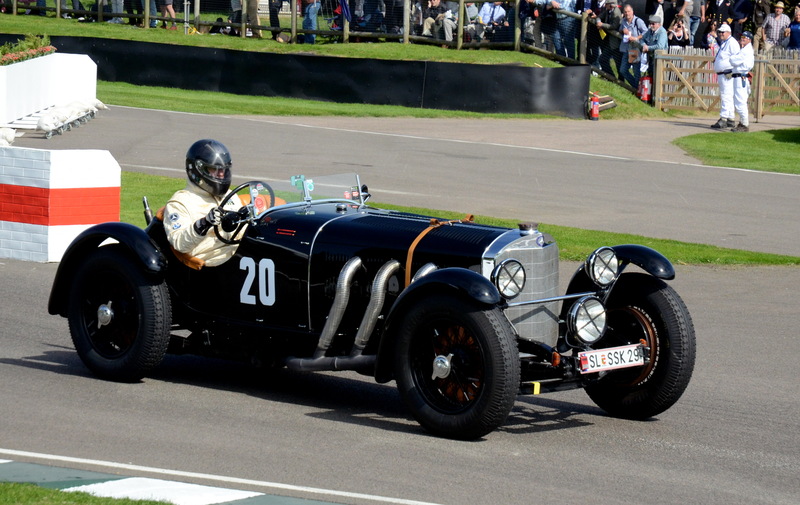 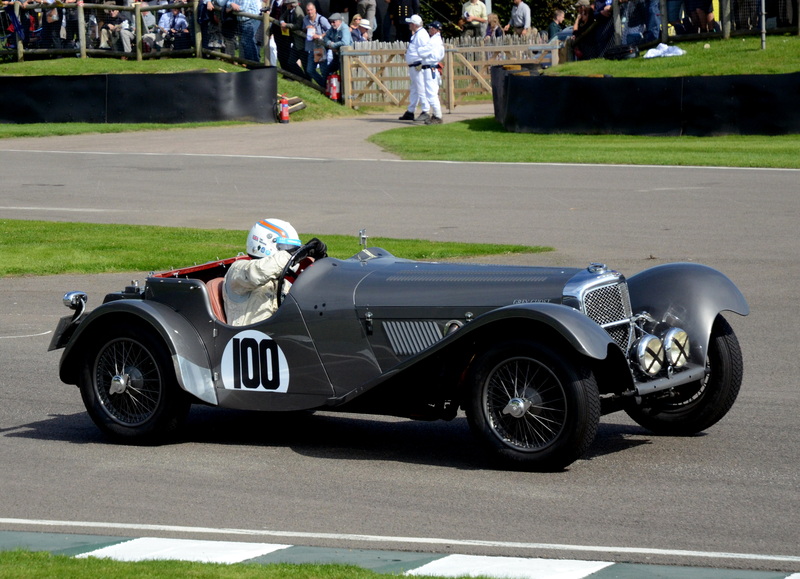 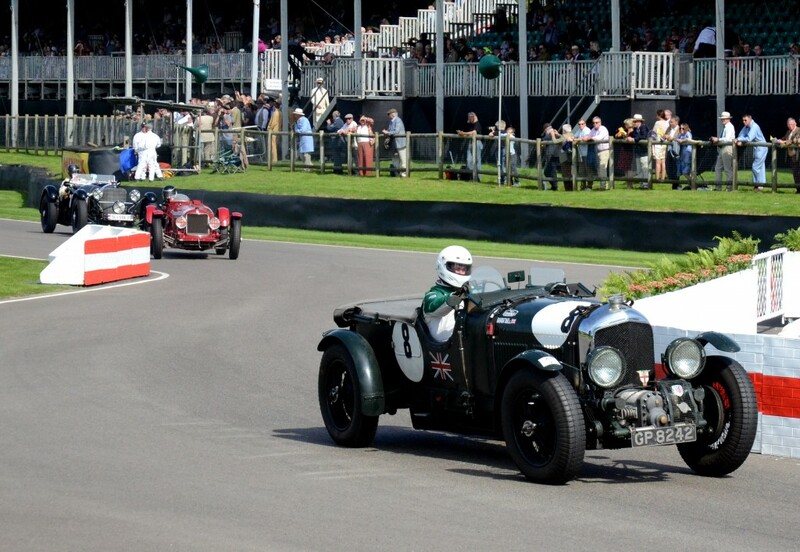 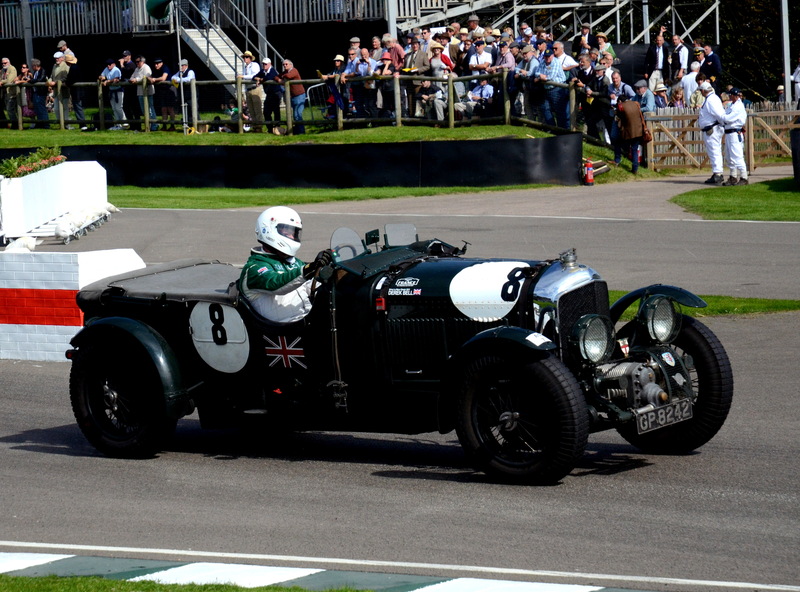 Action from the historic motor racing circuit at Goodwood. 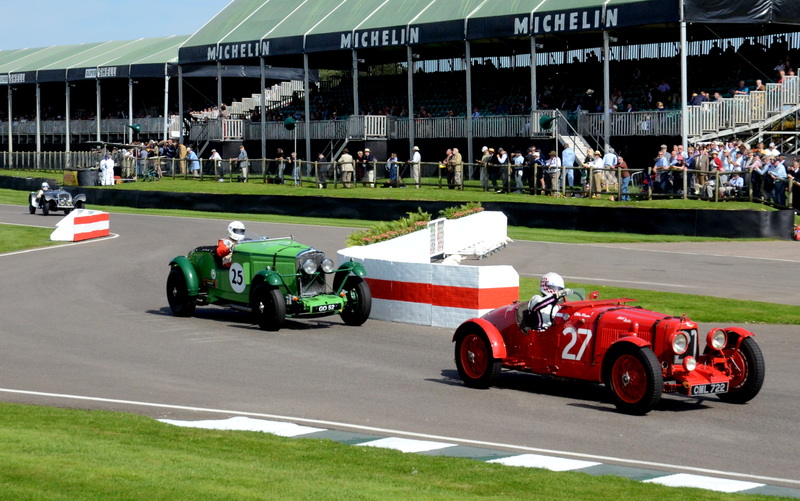 25 minute race for sports cars in the spirit of the great Brooklands endurance races prior to 1939. 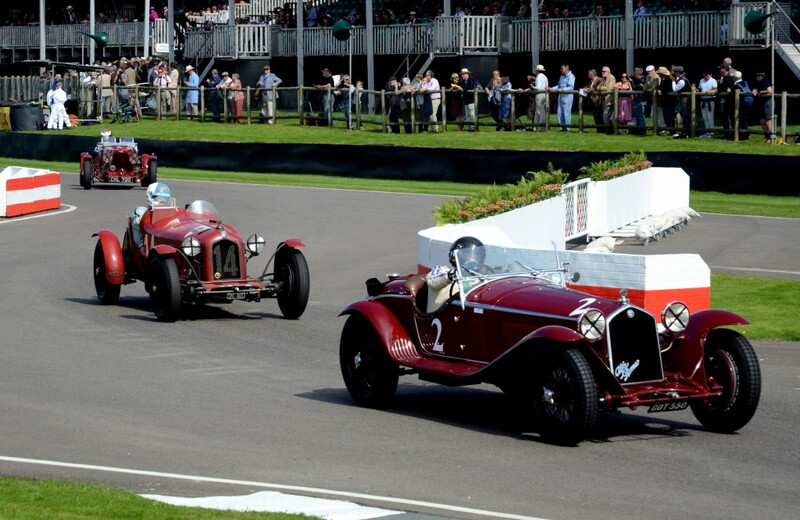 1937 Aston Martin 2-Litre Speed, 1932 Alfa Romeo 8C 2600 Muletto, 1935 Aston Martin Ulster. 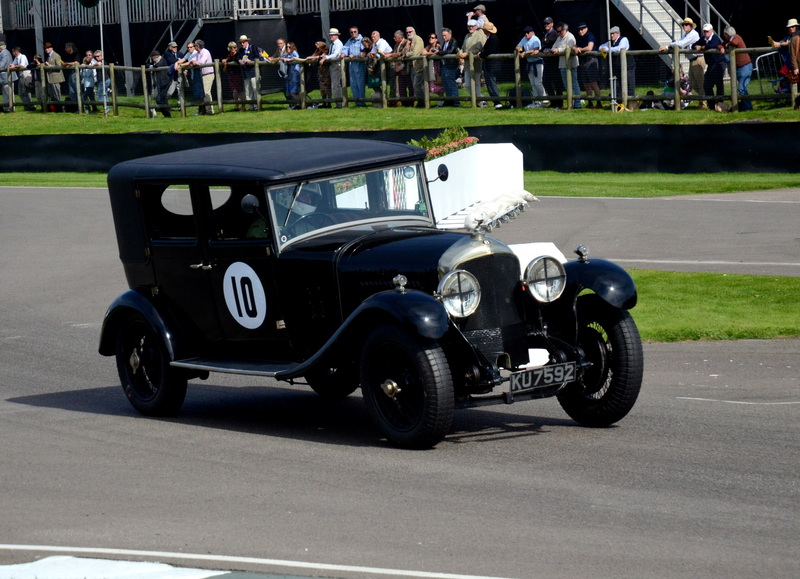 1925 Vauxhall 30/98 Brooklands Special. 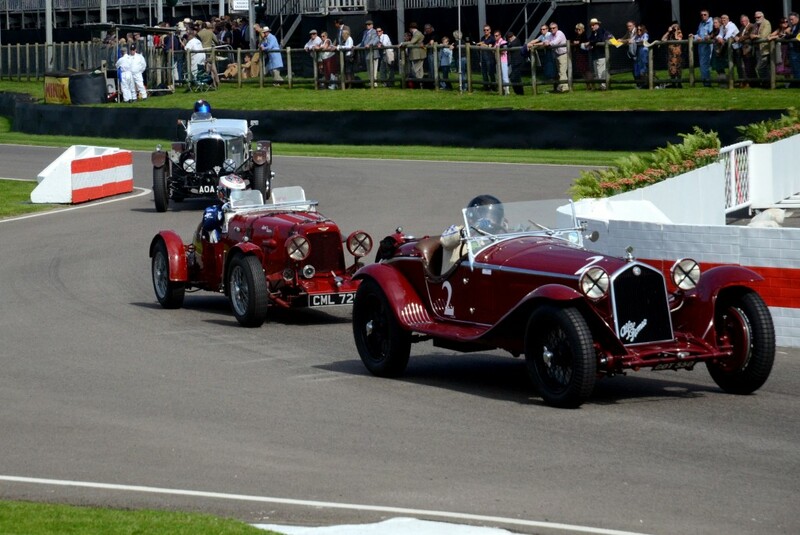 1932 Alfa Romeo 8C 2300 MM, 1932 Alfa Romeo 8C 2600 Muletto. 1930 Fraser Nash TT Replica. 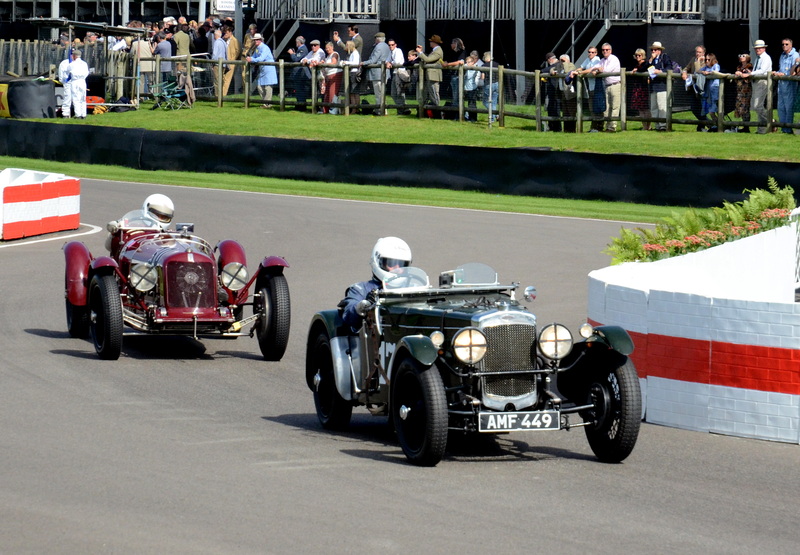 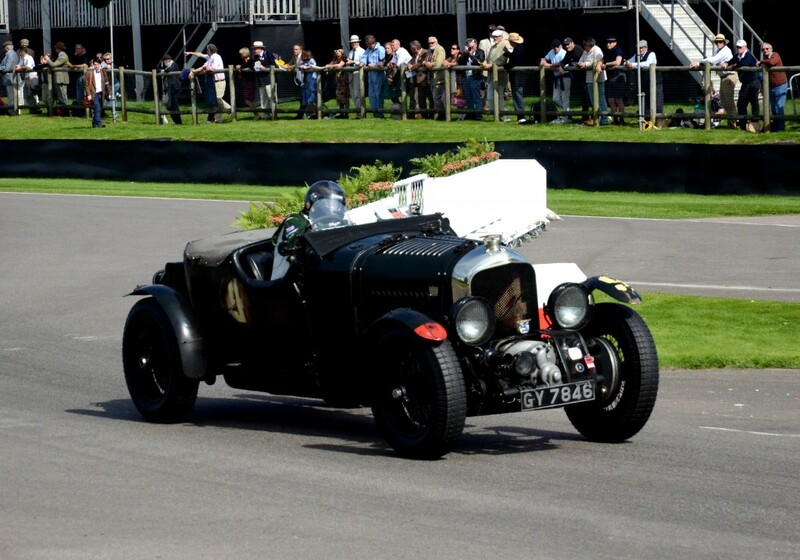 1929 Bentley 4.5 Litre Blower followed by 1925 Vauxhall 30/98 Brooklands Special. 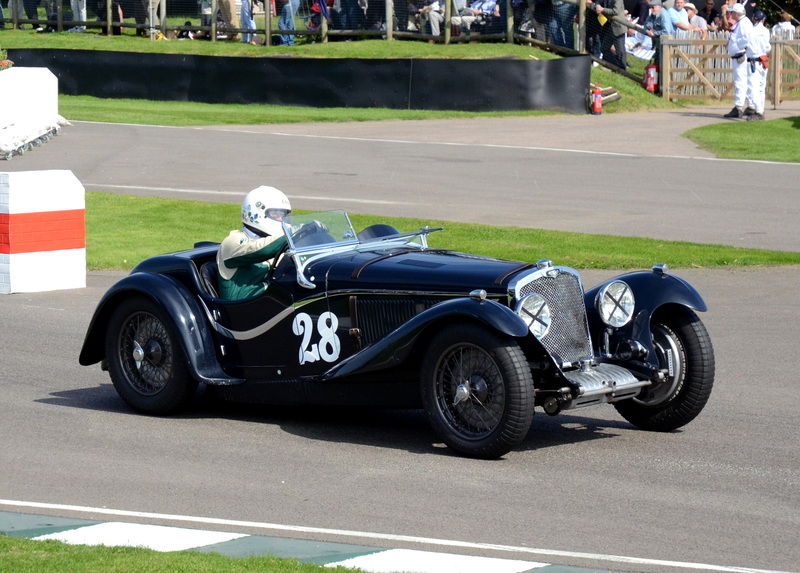 All photographs by Marcia White.